The CB Mini RC has been completely redesigned. The new design includes a camera anti-twist device (before this, customers had to buy the CBAT separately) and allows complete access to the camera’s battery door. Also, the camera position can be adjusted for a better feel when holding the camera in vertical. The CB Mini-RC is a horizontal camera and flash platform bracket. It has a wide cork-padded camera platform to support a digital, 35mm film, or medium format camera. The 1/4"-20 camera screw can be adjusted for cameras of different thickness. Featuring the same compact setup as the CB Mini, the CB Mini-RC allows full accessibility to the vertical shutter release on your camera. 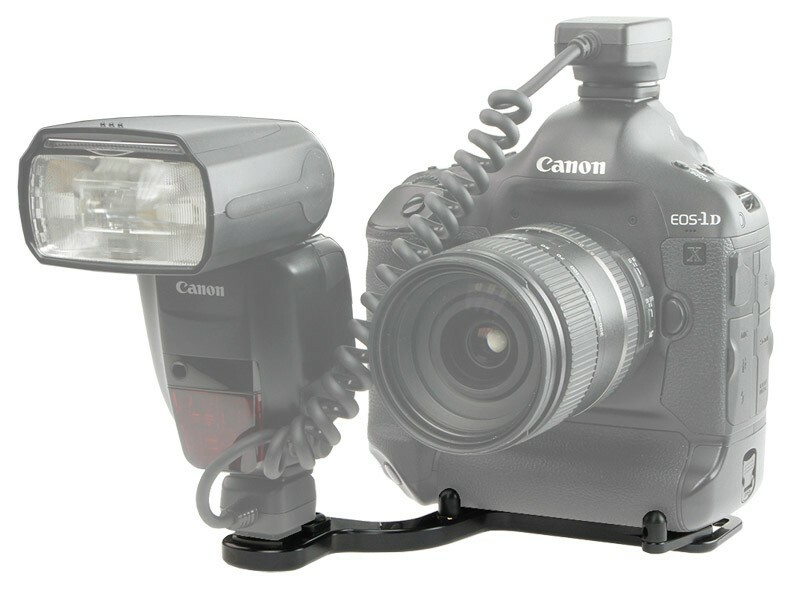 It is designed for Canon and Nikon camera / flash combinations.